We strive to be creative in meeting life's challenges, and we've taken that attitude into the way we do business. We're always trying to do things better, always trying to think outside the box to better serve our customers. We offer a wide range of hunting essentials from guns and ammo to tents and propane. 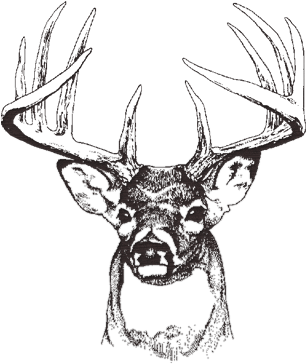 You'll find vests, hats, targets, game calls, camping equipment, bows and archery supplies, maps, and more. Special orders are available for the hard-to-find items you need. Need rods and reels, waders and creels, bait and bobbers, lures and lines? We'll help you get to the reel-ly important stuff rain or shine! We're proud to feature Benjamin Moore paint, with the highest quality paints and finishes in the industry. Our staff 's experience is at your service. Whatever the project size, indoor or out, we've got what you need to make it happen. For hours of play, we've got Mattel's Hot Wheels and Barbie, stuffed animals of every kind, models, games, puzzles, wooden trucks, dolls, children's arts and crafts, science fun…in fact, we've got toys for all ages, including infants and toddlers! Love your home with some beautiful and warm Denali blankets, add decorative lights and candles, framed canvas prints, metal laser art, rustic accent pieces, Peggy Karr handmade glassware, pottery, Artables platters and bowls, and a variety of wine accessories. Need a coffee maker? A Belgian waffle baker? Slow-cooker, blender, mixer, or roaster? From apple peelers to wine and cheese necessities, we've got what you're looking for and more. To help with your therapy, we offer tomato cages, rakes, shovels, hand tools, work gloves, garden hoses, sprinklers, a variety of insect sprays, traps for flies, bees, and rodents, planters and pots, potting soil, plus indoor and outdoor thermometers. Birdhouses, birdfeed, and wind chimes add beauty, and to help with clean up, garbage cans in various sizes. We stock bike accessories for the biking enthusiast as well as the Sunday biker. Our inventory includes bike tubes, tires, pumps, chains, head lights and tail lights, pedals, grips, gloves and more. Special orders help get you what you need, and we have assorted skateboard equipment, too. Our section of new books includes kitchen and cooking books, self-help books, and children's books, as well as books about horses, biographies, history and humor. And we've got a special section of new hard-cover books for only $4.99! Plus, we stock used books of just about every type, including westerns, our best sellers! Our pen is a computer driven laser engraver. We create awesome trophies and plaques, and our engravers can reproduce a photograph of your choosing on wood, glass or metal. Check out our laser-created picture frames and trinket boxes, as well as other gift items. It's so important to keep our memories alive, and photographs help us do that. We're happy to feature a new, easy to operate, digital photo printing kiosk for our in-store customers to use at their convenience. As an added service, we will print for you custom enlargements up to 11" x 14" in color or black and white.